Most people do not require the type of estate tax planning that wealthier folks must consider as they age, but everyone could stand to benefit in one way or another. Estate tax planning is the process of juggling assets to prepare oneself for the eventual division of those assets once the owner is deceased. Part of estate planning is drafting a last will and testament, deciding on power of attorney, keeping track of assets and expenditures in order to pay state and federal taxes, and also deciding who gets what when you pass away. There are other matters that may need attending, but any legal expert you hire will provide you with insight into which matters are relevant to your estate. These are not always easy decisions, but that does not mean they have to be incredibly difficult. With the right plan and the right help, estate tax planning can be a walk in the park. 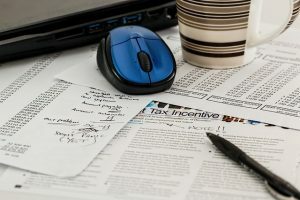 As with most everything related to taxation in the great United States of America, there are loopholes that can help you avoid paying more than you have to when it’s time to divide your assets. Normally, smaller estates are completely exempt from both state and federal estate taxes, and some states don’t have any estate taxes, to begin with. If your estate is valued under $5.49 million, then you likely do not owe anything. If your estate is worth more, there are a few things you can do. An estate planning law firm will explain in greater detail, but for now, you should know that making gifts to a husband or wife can help alleviate eventual taxes. So can making similar gifts to other family members before your death, or even donating to charity. A sneaky life insurance policy can diminish the taxation as well. If all else fails, you can place some of your assets into a trust. Then again, if you want to stiff Uncle Sam completely, you could just preplan the biggest funeral bash that anyone ever had. Funeral expenses are deducted from your gross estate, as are administration expenses, claims, or unpaid mortgages. One of the biggest issues that arise from estate tax planning is how complex the tax code itself is–even the IRS has said as much. Yes, tax code, in general, is complex, but estate tax code is even more complex. That’s why finding a qualified estate planning expert is so important to the future of your assets. You might find yourself saving a considerable amount of cash down the line with a phone call or two. Obviously, you make your own choices. If you fail to draft the documents made up as a result of estate planning, the government will swoop in and take all it can, leaving your friends and family with less than their fair share of inheritance while they curse your name. Whether you want that to happen is completely up to you.